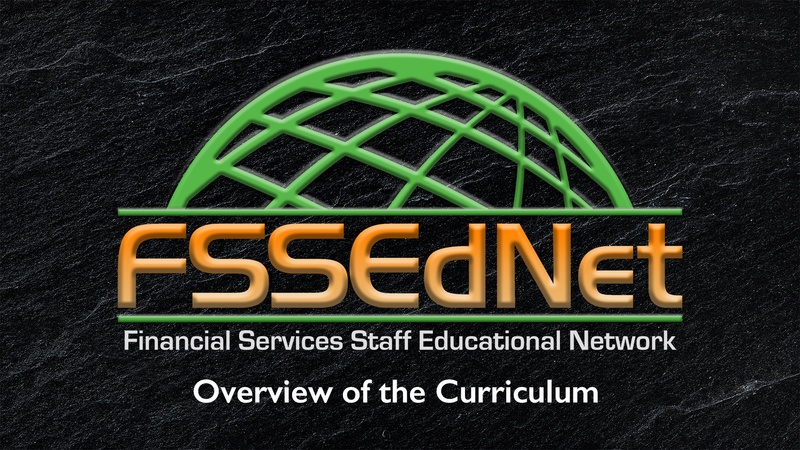 The FSSEdNet Curriculum is divided into eight Modules, which comprises of Courses and sessions. Some are focused on general information about the industry, while others are built around different products, programs and services and the various ways they are used. Employees will gain insights into the needs, wants, and desires of today’s consumer, as well as particular market segments. Here is a basic overview of the Modules contained in FSSEdNet. 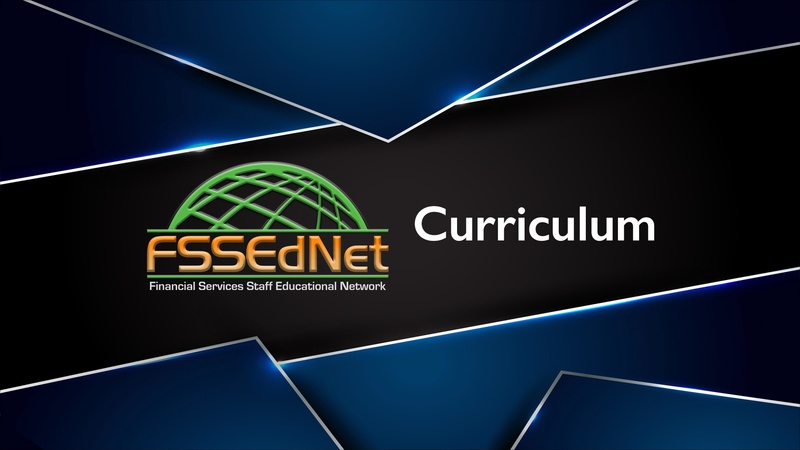 All of these Modules make up the FSSEdNet curriculum, however, organizations can pick and choose which employees will have access to which Module and any Module can be removed. This module provides some general overview courses and sessions which can help enhance employees’ professional, and personal lives. These general topics are designed to be beneficial to everyone since at one point or another they will need to understand this course. In addition, we offer our Financial Literacy sessions here, covering basic financial overviews and concepts which affect's everyone's personal lives, regardless of age. This module provides numerous informational-packed sessions focusing on understanding today’s consumers, as well as their individual wants and needs as it relates to owning or purchasing financial products. We will take a look at just some of the many reasons why consumers at different stages of life own or needs different financial products or service, primarily focusing on life insurance. Additionally, this module covers why those experiencing one or another type of life event, may need to consider the need for either life insurance or other insurances. Understanding the consumer and their individual situation are critically important in order to be able to relate to, and/or address any questions or concerns. A general overview and an in-depth look at insurance services, products, and programs that today’s consumer either has, needs or wants. These programs or products are offered by different insurance companies, banks, investment firms. A general overview and an in-depth look at various services, products, and programs that today’s consumer either has, needs or wants. These programs or products are primarily offered by different insurance companies. Finally, we’ll discuss their many features, benefits, and even limitations of these insurance products. This module will cover the most often misunderstood feature and benefits of the U.S. Social Security Program, as well as it’s eligibility requirements, limitations, and restrictions. How Social Security benefit amounts are determined and calculated. How the U.S. income tax system generally works and how to understand this at times very confusing program. How to understand the lingo of the world of investing and make sense of the real world of saving and investing programs. An overview of the concepts, terminology, and fundamentals of investment strategies, products, and programs such as mutual funds, variable annuities, managed money accounts, investment strategies, as well as so many other investment vehicles and concepts. Learn how to effectively explain these important topics in layman’s term to prospects and clients, as well as our kids. This module covers two of advanced sales marketing key topics, that of Estate Tax Planning and how to prepare to Retire. Gain the fundamental aspects of estate tax planning, including federal and state taxation of estates and inheritances. Understand what determines a person’s tax liability and common strategies to reduce or eliminate any potential tax liability. Issues and strategies that those preparing for retirement should know about and plan for to ensure that they do not outlive their money once they leave the workforce. Prepare for that time in life when a retiree can no longer care for themselves. A basic understanding of today’s small-business environment, demographics, and opportunities. Insight into several different small-business structures and some advantages and challenges each one faces. As well as each structure’s tax and personal liabilities. Various types of risk that can impact a business in the event of a death, disability or retirement of an owner, shareholder or key employee.